So here we are, at the start of my adventure as a freelance copywriter. Not quite the start – I actually started trading last month, but most of that time has involved getting myself set up, including this fine new website, built for me by Tim at Webtexweb Design. A while ago, my job in media monitoring vanished down the plughole of the recession. Since there were few jobs going in that sector, I began applying for anything that seemed appropriate, mainly associated with admin, but the state of the job market meant that employers can ignore transferable skills and go for candidates who’ve done precisely the same job before. I was beginning to despair of ever finding anything when a chance remark started me thinking about self-employment. My first reaction was “There’s no way I could run a business, and what would I do, anyway?” but I ignored that and started thinking about my strengths. The obvious one was writing. I’ve written all my life and had a good deal of fiction and poetry published, but more recently I’ve been writing articles, too. Most have been about history and literature, my two greatest passions, but involving a considerable amount of research. Sometimes this is about subjects I’m less than enthusiastic about, such as the early history of the railways. I gradually began to realise I have a lot of experience relevant to being a copywriter. That still left the problem of how to do it, but the Jobcentre referred me to Wenta, who have given me plenty of advice, or helped me find even more advice elsewhere. Drawing up a business plan, applying for a loan, learning about finances, marketing, the legal aspects: the list goes on, and I’ve accessed all this through Wenta. Networking is important, too. 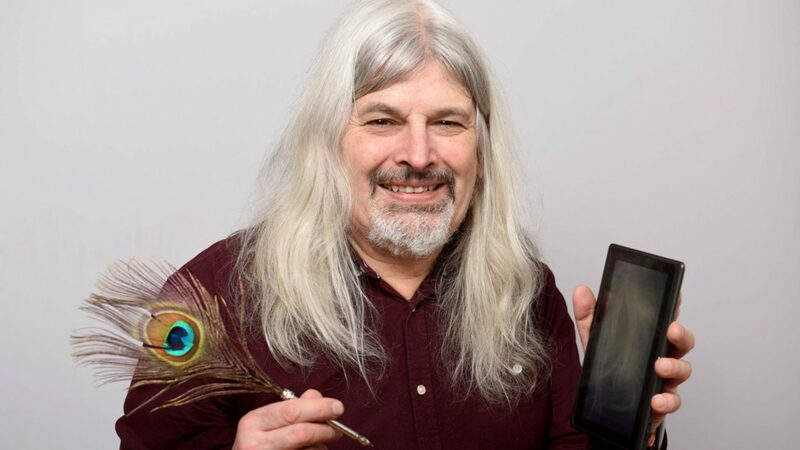 My services, of course, are available to anyone in the world through the wonders of the internet, but it’s important for me to build up relationships with local businesses and customers, here in Hertfordshire’s beautiful Lea Valley. Liza, my advisor at Wenta, recommended a number of networking groups, and through these I’ve met not only potential customers, but also people willing to offer excellent advice for no other motive than that they want you to succeed. My loan came through last month, and since then I’ve been in a flurry of activity arranging corporate designs, website building, insurance and banking, among other things. I haven’t ignored my actual work, and I’ve had a couple of jobs writing the content for websites. Writing for an injury lawyers’ website was an interesting experience. I’ve discovered plenty of ways I could get injured. And now, with a proper online presence, I’m hoping to get a lot more business, both locally and world wide. I’ll try, though, to find the time to update this blog regularly and let you know how it’s going.